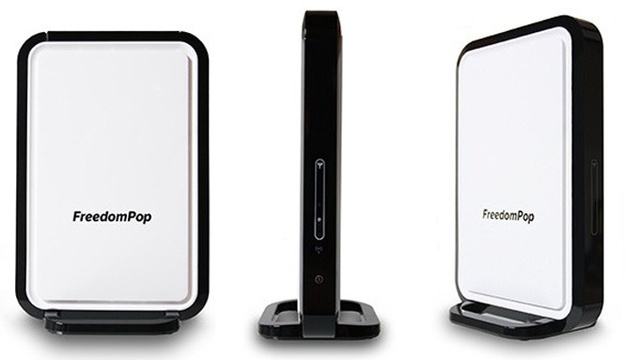 In United States, FreedomPop attempted to initiate a revolution by launching a 4G router integrating the data, and allowing you to abandon your Internet connection. Sold 89 $ in the land of Uncle Sam, the Home Hub Burst, this router 4G launched by the company will integrate FreedomPop quota data, renewed monthly and available to you absolutely free. Capable of supporting up to 10 simultaneous connections, it offers 1 GB of data per month. It is not huge, and it should probably cover a relatively marginal use of the Internet. But it has at least the merit of being free, and it will probably save the future to users in some cases. Note that the GB of data can be extended so free again under certain conditions. Otherwise, it will be quite possible to glean additional GB of putting his hand in his pocket: rates start at10 $ per month. However, the qualification 4G modem seems somewhat overused and Freedom Pop promises more speed connection between the ADSL and cable.